hi, i am beginner at the atmel mcu and now i am developing a little device with a samd51 based custom board. my board has a security chip and interfaces with it through I2C. so i configurated the SAMD51G18 as I2C master. i assigned gclk0 to the mcu, uart and two i2c. now i am testing with the code which atmel start generated. 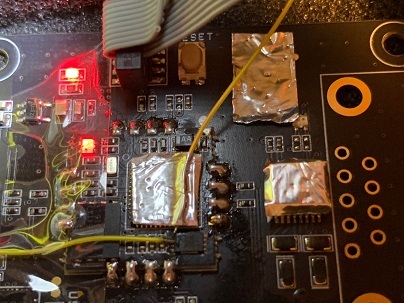 first, uart, i2c0 works properly. 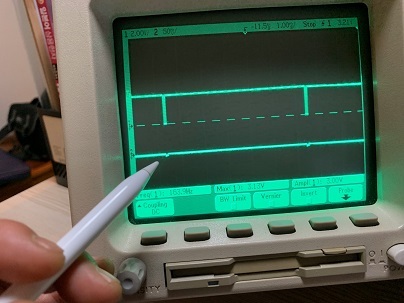 but when i checked the PA12 pin of the I2C_1 clock with my oscilloscope , i could not find any signal yet. i want to know what i missed ?? is it clock problem or something else ?? Maybe I missed it, But according to your layout above, it doesn't look like you use pull up resistors. yes, there is no resistor. when i saw this circuit first time, i also thought as you thought . but the first version of this circuit which is based on SAMD21 works perfectly without pullup resistor. so i think pullup resistor is not necessary. But you are pulling them up to VDD right? Either way I2C standard is with a resistor if you want the most reliable communication. The resistor is based off your baud rate I'm not sure how fast you are running at but 10K ohm is recommended at 100khz if you are going faster I would use a 2K ohm resistor and at least try it man why not. thanks your reply! i have not thought yet pullup resistor effects the performance. actually speaking, first version circuit has performance issue. but do you think in this case, if i insert t pullup resistor, i will resolve this problem?? 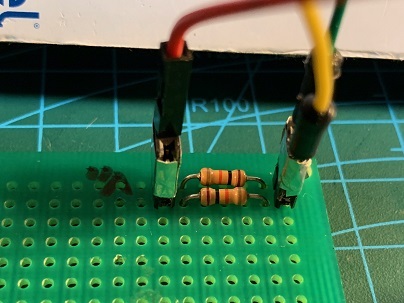 I2C by design needs pullup resistors. Solve that problem first. i added pull-up resistor with 10k ohm and then i finally detect clock and data signal !! 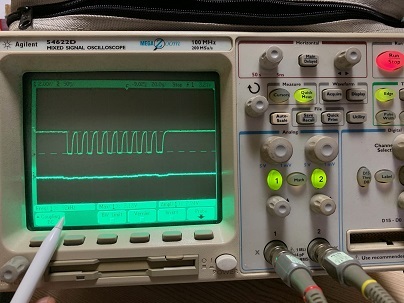 You've not studied the I2C specification then, have you? Not only did you not put pullup resistors, you then put the wrong value of pullup resistors! Off the top of my head the resistors should be 2k2-3k3 for a 3V circuit with minimal capacitance.